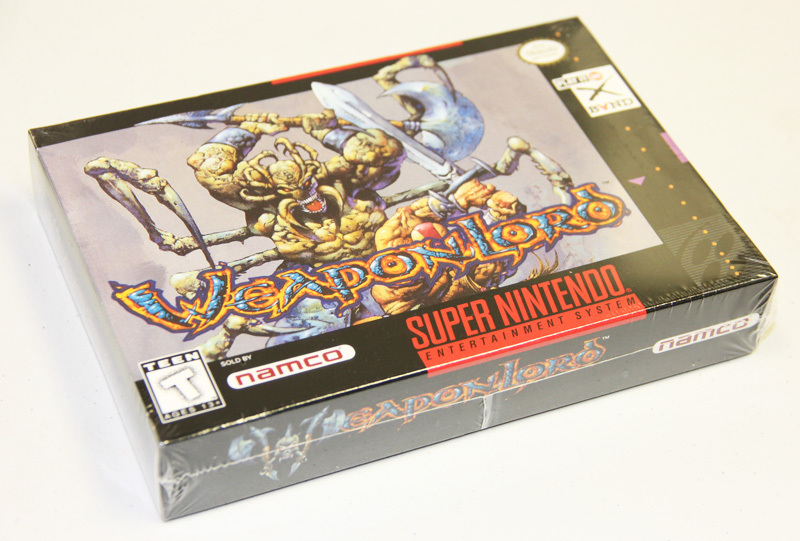 Weapon Lord for Super Nintendo has you enter a harsh medieval world and battle for your life against seven savage barbarians -all armed, all dangerous, all fighting to be the ultimate villain, the WeaponLord. The game features three different gameplay modes. There are 10 special moves per character. 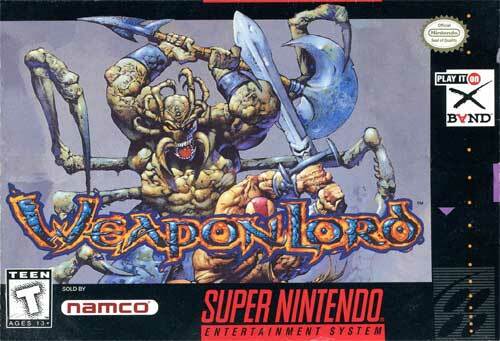 It includes weapon combat that redefines blocking, attacking, and strategy. For 1-2 players.